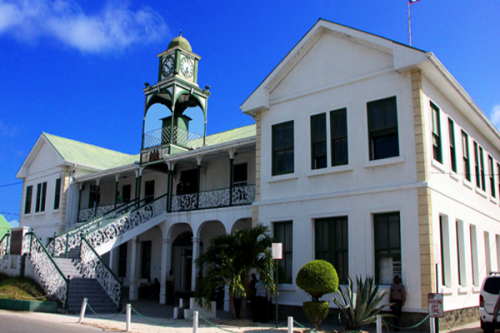 BELIZE CITY, Feb. 4, 2015–At the opening of the Supreme Court in January 2015, members of both the bench and the bar decried the troubling backlog in both civil and criminal cases, which has meant that perhaps hundreds of cases continue to go unresolved due to the inability of the courts to address them in a timelier manner. Attorney General Wilfred “Sedi” Elrington said that the Government of Belize stands ready to provide whatever funds are necessary to pay public-spirited senior counsels who are prepared to temporarily join efforts to dispose of the backlog of cases. Belize is not the only country grappling with a backlog of cases. However, the problem is recognized as one worthy of imminent attention under a project being implemented by the Caribbean Court of Justice (CCJ). The project, dubbed the Judicial Reform and Institutional Strengthening (JURIST) Project, is being piloted in our sister Caribbean country of Grenada this week, where Grenada is to commence its work to clear 200 backlog cases which have been identified for completion. A press release from the CCJ says that the Grenada project will cost approximately EC $1 million (or roughly US$370,000), which includes counterpart funding from the Government of Grenada and the Eastern Caribbean Supreme Court (ECSC), which is collaborating with the CCJ for JURIST. The project will involve a training phase (with a program of study developed by the Commonwealth Judicial Education Institute (CJEI) which is based in Halifax, Canada together with the Judicial Education Institute (JEI) of the ECSC, the President and Judges of the CCJ and the Trinidad and Tobago Judicial Education Institute) and the appointment of two temporary judges to Grenada to clear the backlog. This is part of a five-year regional initiative for the English-speaking Caribbean, funded under an arrangement with the Government of Canada. It also involves the promotion of mediation as an alternative to dispute-resolution, and the utilization of modern technology in the courtroom to access information on court files and to digitally record the proceedings. “The project will be rolled out in six pilot countries, namely Barbados, Belize, Grenada, Guyana, Jamaica and one other country to be identified from the Organization of Eastern Caribbean States (OECS),” the CCJ said. “Rules and procedural practices will also be developed during the pilot project, all aimed at expediting the trial process and minimizing the likelihood of creating backlog in the future. Performance measures and standards will also be introduced which will inform policies to be established by the ECSC,” the CCJ added. It explained that these rules, procedural practices, performance measures and policies will also be implemented in other member states of the ECSC on completion of the pilot project and will be made available for implementation in other Caribbean Community (CARICOM) member states.